Let’s check in to make sure you’re ready. To put it plainly, if you haven’t read the above mentioned Parts 1 through 4 (each is a quick read), you need to go do that now. You’d be doing yourself a terrible disservice if you read this post without reading the others. Why? That is made very clear in Part 1. You’ve read Parts 1, 2, 3, and 4? OK, this is it … Scroll down below. You’re obviously quite eager to read this short comic book by now or you wouldn’t have read this far. One quick thing before you read it. When you order your comic book (yes, for just $1), you’ll be given the chance to start a free trial of Juggernaut Academy. 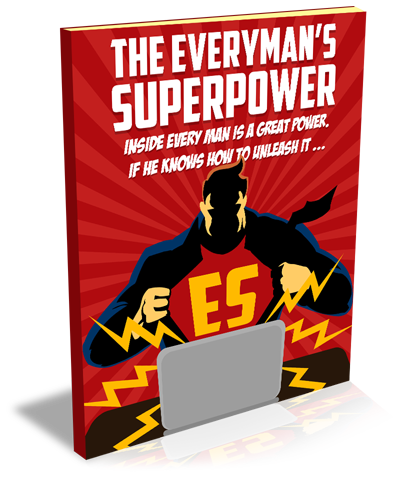 Everything you need to understand and use The Everyman’s Superpower is in the comic book. Don’t worry. Juggernaut Academy is just there if you want some extra guidance on your journey. Want my advice? Try it out. See it as a “habit insurance policy.” It won’t cost anything to try, and you don’t have to worry about cancelling later (as you know, our customer care guys are generous to a fault).